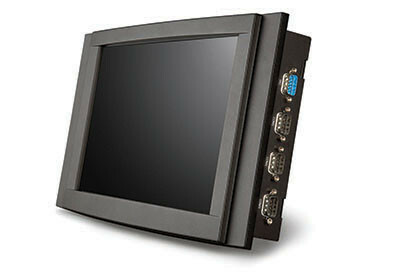 The VIA VIPRO VP7910 is an embedded panel PC with a 10.4"" TFT LCD resistive touch screen that is ideal for a wide variety of embedded, multimedia, and industrial HMI (Human Machine Interface) applications requiring low power consumption, fanless and noise-free operation, and multiple IO ports. Powered by a 1.0 GHz dual core VIA Eden X2 E-Series processor and the VIA VX11H media system processor featuring an integrated VIA ChromotionHD 5.0 video processor with DirectX 11 support, the VIA VIPRO VP7910 delivers blistering multimedia performance in a highly-integrated panel PC form factor. The system comes with a rich array of I/O features, including USB 3.0 connectivity, dual GLAN support as well as one HDMI and one VGA port that enable dual independent displays. It also has two MiniPCIe slots which offer dual SIM card support in order to reduce roaming charges for cross-border transportation applications, plus one mSATA socket and a 2.5? internal HDD drive bay for storage. A variety of mounting options are available for flexible installation.